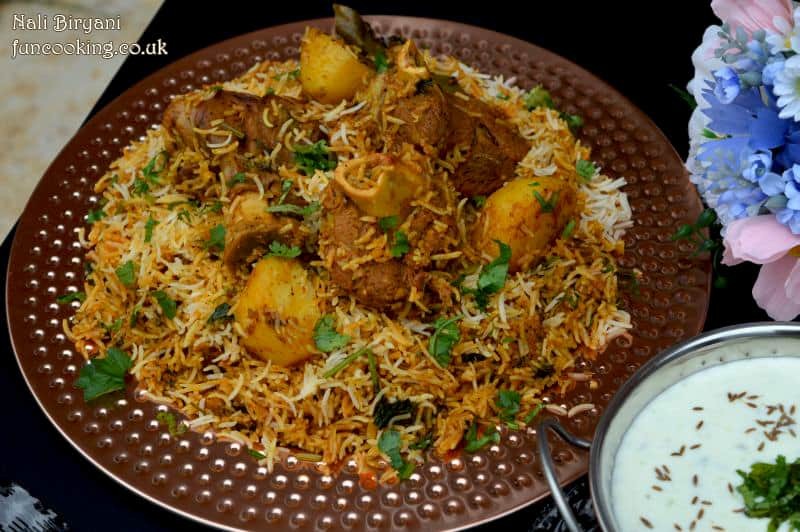 Nali Biryani a new love of Karachi, I made my version of this famous dish 🙂 .Biryani, also known as biriyani, biriani, birani, or briyani, is a mixed rice dish with its origins among the Muslims of the Indian subcontinent, Pakistan, Afghanistan, Bangladesh and Muslim Countries. 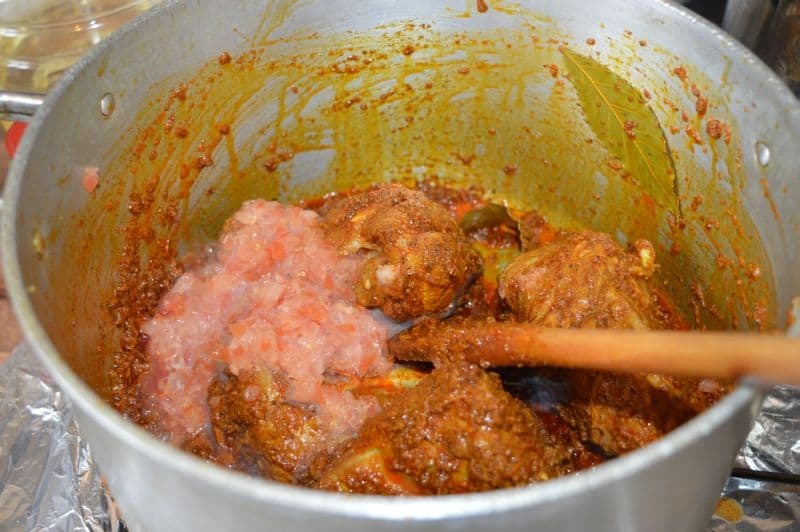 It is made with rice,spices,meat like (Chicken, Goat, Lamb, Beef,Prawn or Fish), and you ca also make it with vegetables,eggs and lentils mixed with meats. 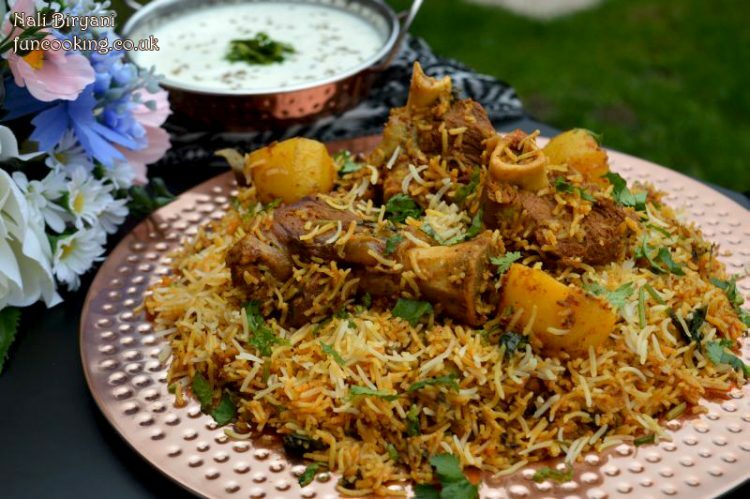 Previously I share so many biryani Recipes ,also check them you would definitely like them. 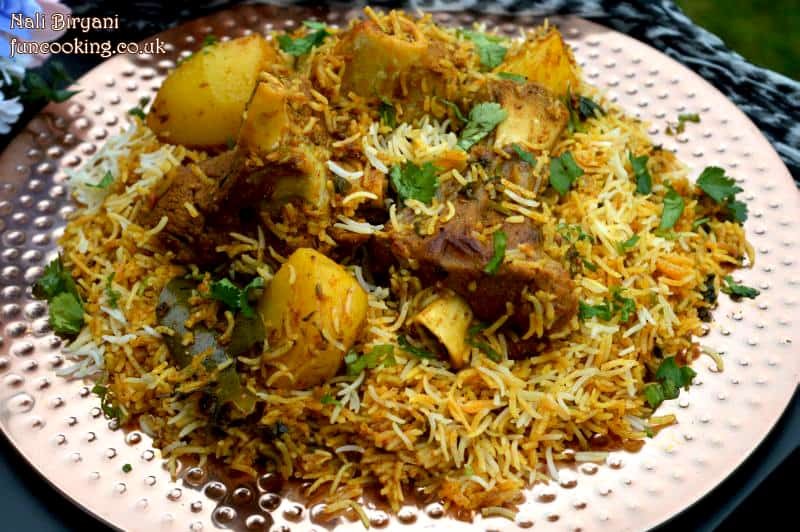 Karachi is the home of Biryani in Pakistan. 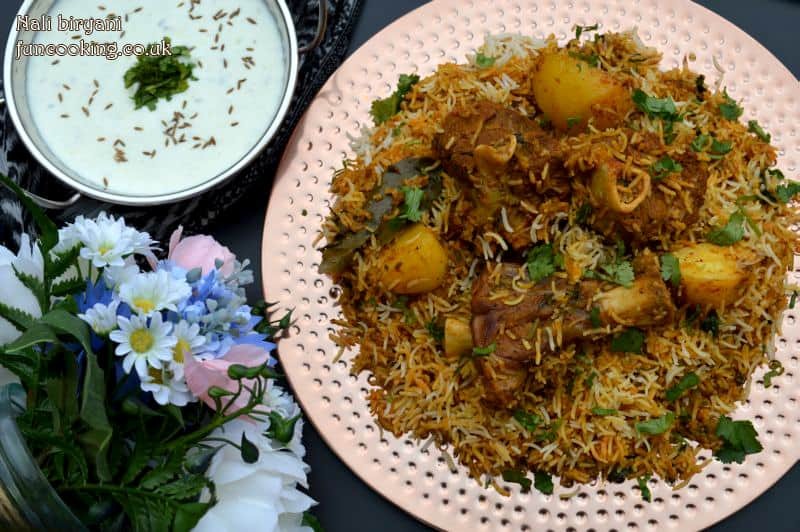 Karachi people are so specific about their biryani choices and the biryani you can eat in this city, you can’t get it any where else in Pakistan. 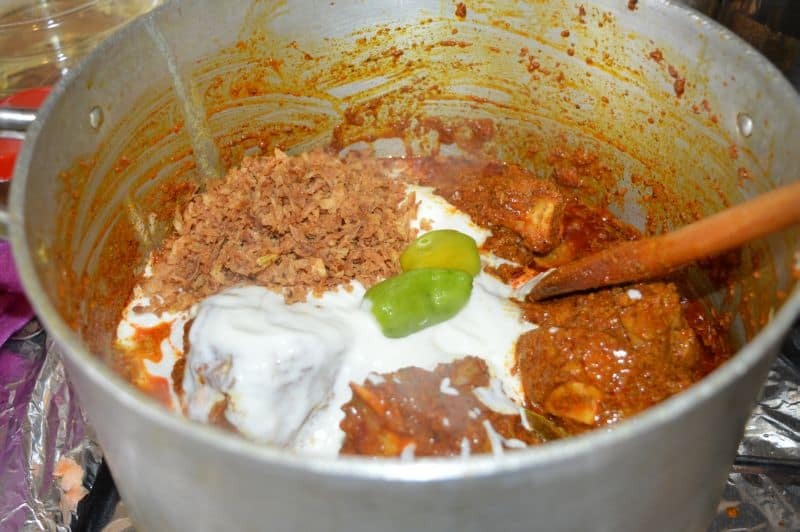 A new trend and new craze in Karachi people is they are in love with Nali Biryani. Everyone is admiring the delicious taste. So I thought why not give this a try :). 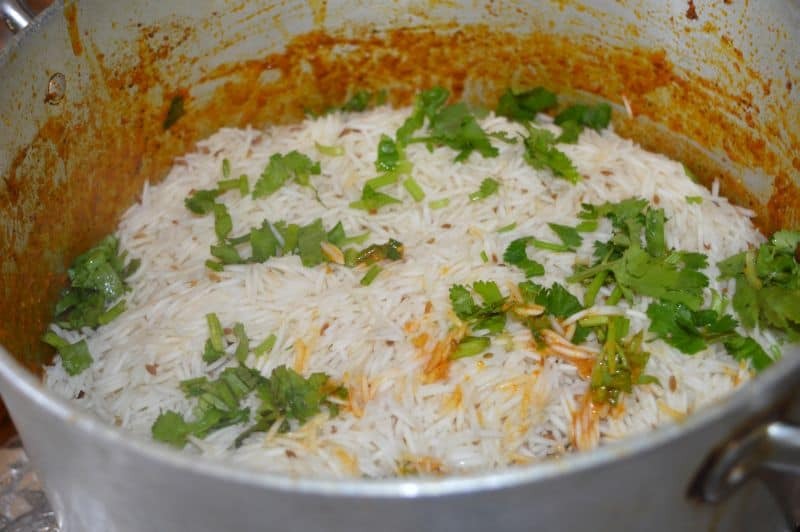 Nali Biryani in Funcooking style. 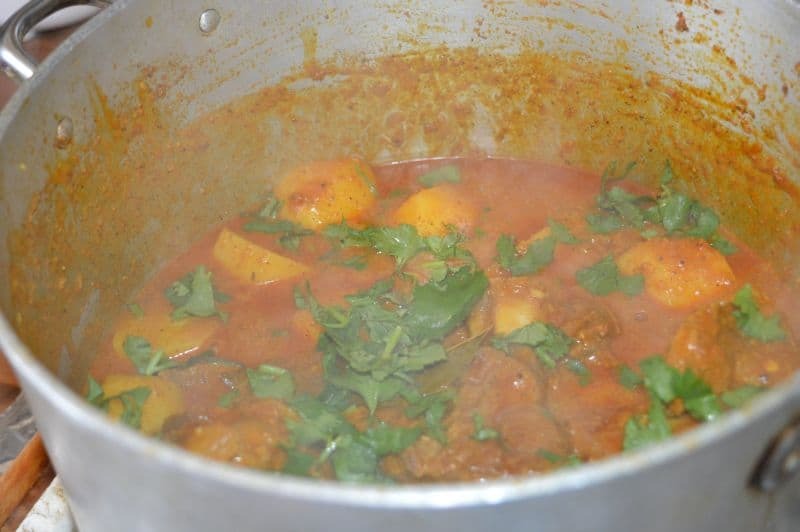 I have made few changes like I added potatoes in it because my kids like them in biryani. Also I made it with lamb shanks. 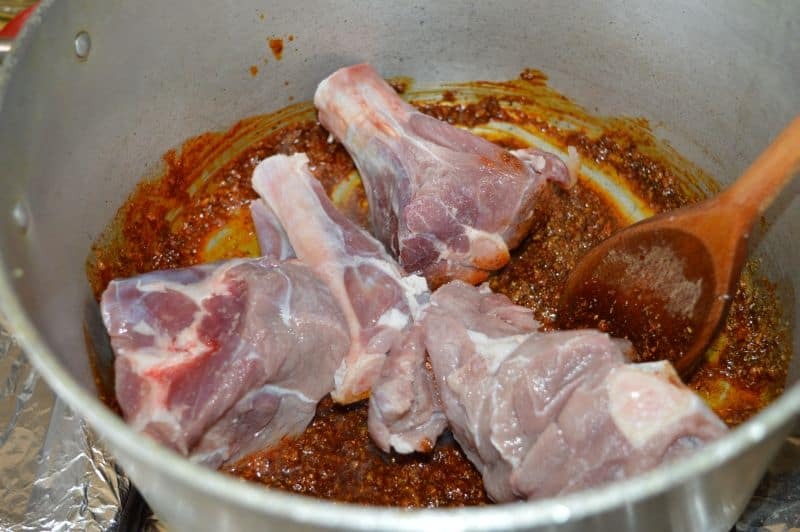 Actual recipe has meat and bones of cow. You can adjust it according to your taste and choice. 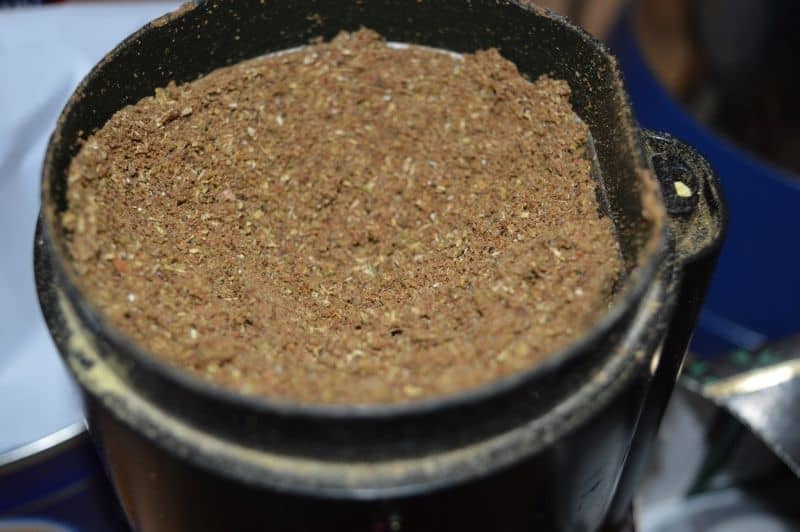 Grind them, make fine powder. Set a side. 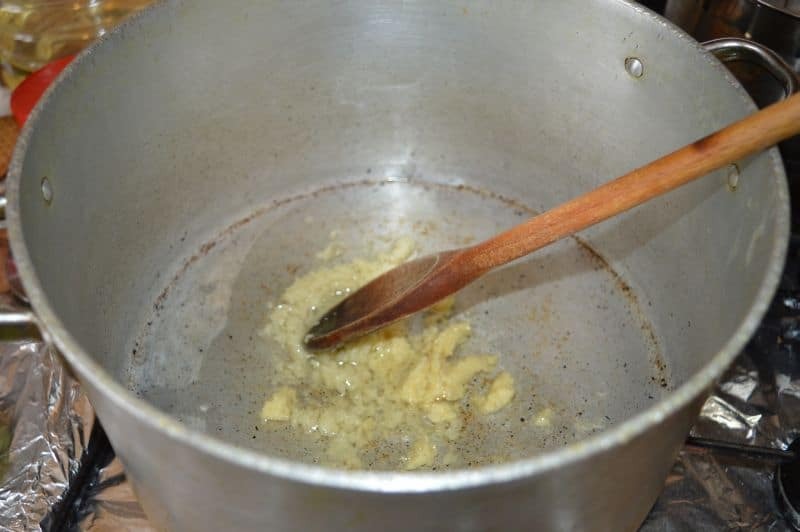 In a pan add 1/4 cup oil with ginger, garlic paste. Stir few seconds. 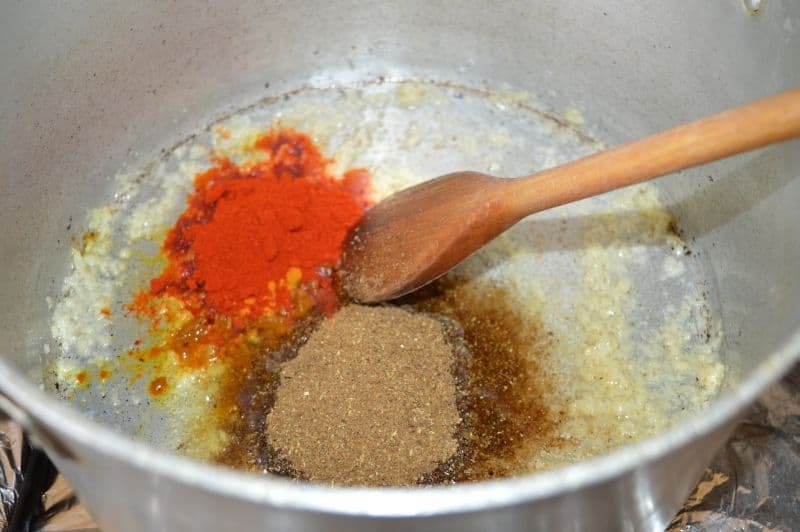 Add in kashmiri red chili, turmeric powder and list 1 grind spices. Stir 3-4 seconds. Do not burn it. 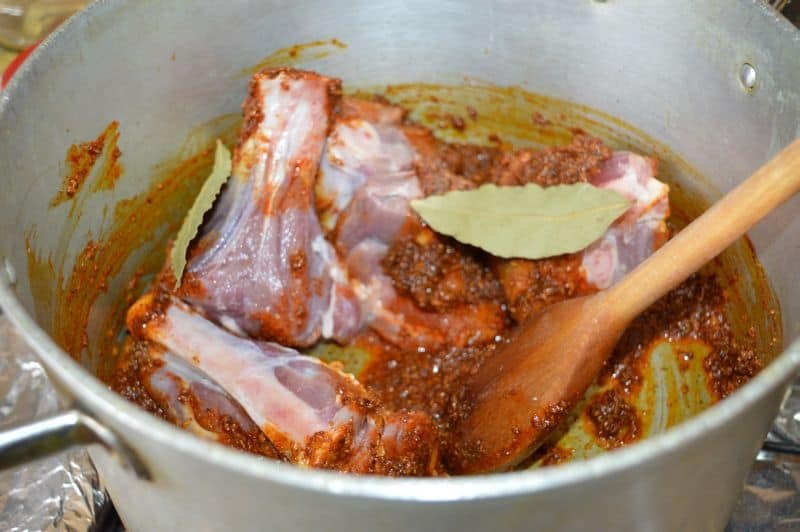 Add bay leaves and stir few minutes. 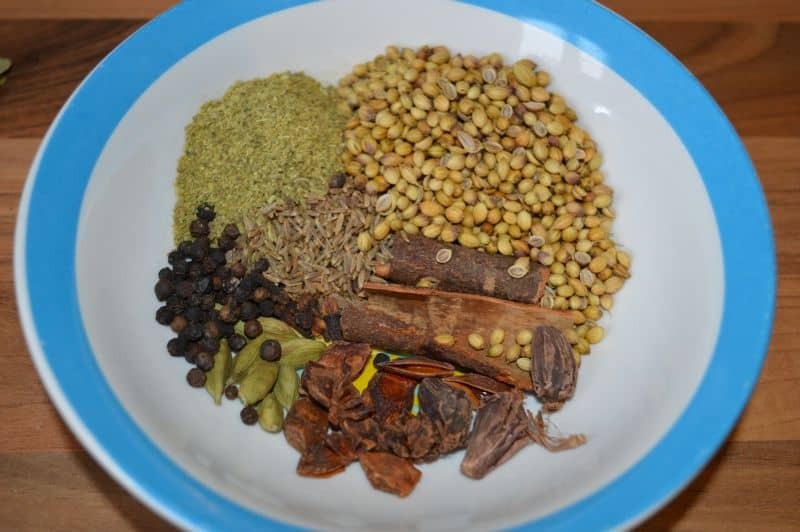 If you feel spices are burning add few tbsp water. Add in 2 chopped tomatoes and stir few more minutes. Add in yogurt,fried onions and green chili and salt. 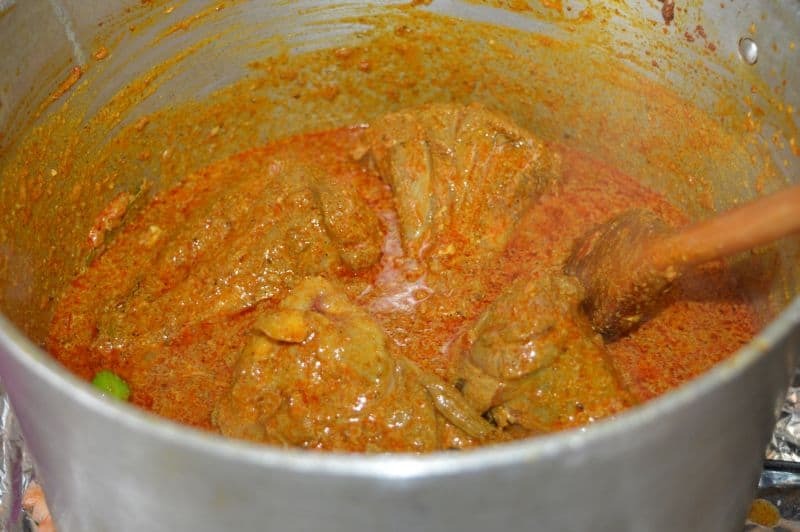 Mix and cook until meat is tender. 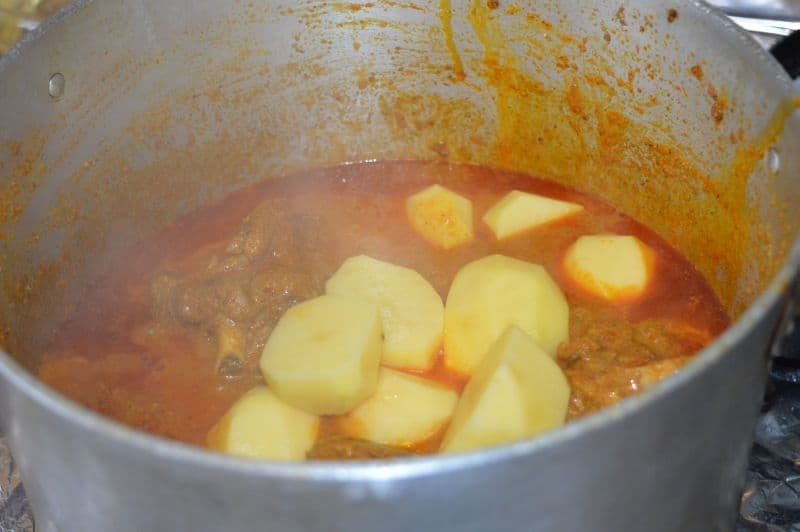 Add in potatoes cut in half and cook until tender. Sprinkle half cup coriander, turn off the heat. Fill a pot with water, add in 2-3 tbsp salt and cumin 1/2 tbsp. Let it boil. Now add in half hour soaked rice. and let it boil. Put half of the rice on meat gravy after 1 boil. 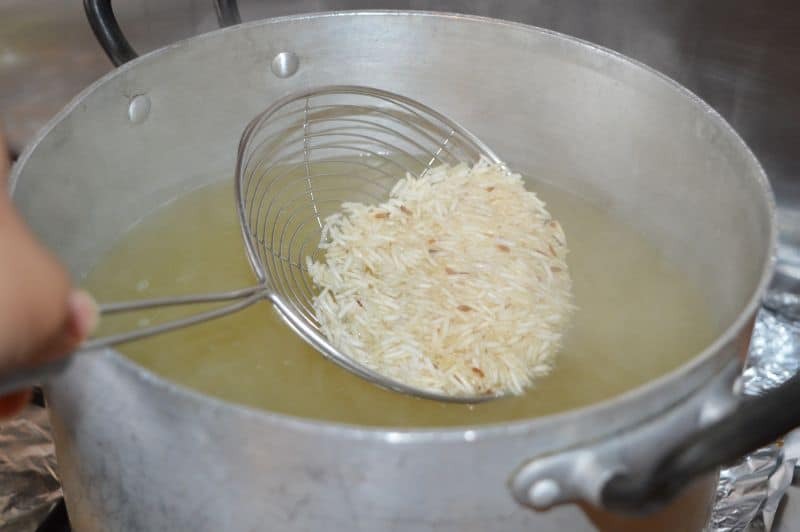 Then let them boil for another 1 minute and add all remaining rice on top. Sprinkle half cup coriander and 2 tbsp kewra water on top. With tight lid on cook it first on high heat for 3-4 minutes then when you see steam coming out of the pan then turn the heat slow and cook it(dum) for 12-14 minutes.